Author and Photographer of: Alaska's Wildlife,Portrait of Alaska's Wildlife, Way of the Grizzly, NationalGeographic's Guide to America's Outdoors: Alaska, Alaska's Bears, Alaska's Mammals, Kantishna: Miners, Mushers, Mountaineers. Pocket books: Alaska's InsidePassage, Alaska Fact and Tall Tales, Denali National Park,Alaska's Wildlife. Alaska, Audubon, Field and Stream, National Wildlife, Newsweek, National Geographic, Wilderness, Stern, and more. National and International trade and text books, calendars and advertising. BEARS: Black, Brown, Grizzly, Polar. BEAVER, BISON, BOBCAT, COUGAR, CARIBOU, COYOTE, DEER, ELK, ERMINE, FOX: Arctic, Blue, Cross, Grey, Red, Silver MT. GOAT, HARES, LYNX, MARMOTS, MARTEN, MOOSE, MUSKOX, PORCUPINE, RACCOON, SALMON, SEALS, SEALIFE, SEALIONS, SEA OTTERS, SQUIRRELS, MOUNTAIN SHEEP, WHALES, WOLVES. Antlers, tracks, furs, trapping, commercial fishing, oil spill and pipeline, and outdoor recreation. 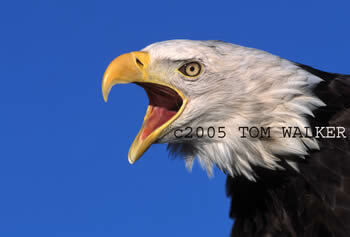 BALD EAGLES a Specialty. LOONS, OWLS/HAWKS, PUFFINS, RAVENS/CROWS, SEABIRDS, SHOREBIRDS, SONGBIRDS, WATERFOWL, WOODPECKERS. AURORAS, FORESTS, LAKES, MOUNTAINS, RAINBOWS, TUNDRA, WILD RIVERS, WILDERNESS. 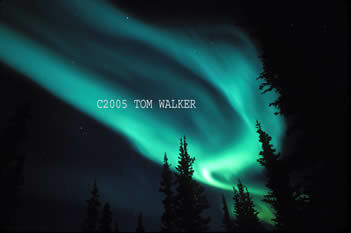 Tom Walker Photography offers North American and international wildlife and landscapes.